Today we are going to look at some of the reasons claims get denied and talk about what you can do if that happens to you. When you need a Los Angeles workers compensation attorney, turn to the trusted professionals at Koszdin, Fields, Sherry & Katz so you can get the coverage you need. On behalf of Koszdin, Fields, Sherry & Katz posted in Workers Compensation on Friday, December 07, 2018. We know that your work is your livelihood and that you need the income to support yourself and your family. When you go to work each day, you can do so comfortably knowing that if you are injured on-the-job that workers’ compensation insurance will help you with medical expenses and lost income. 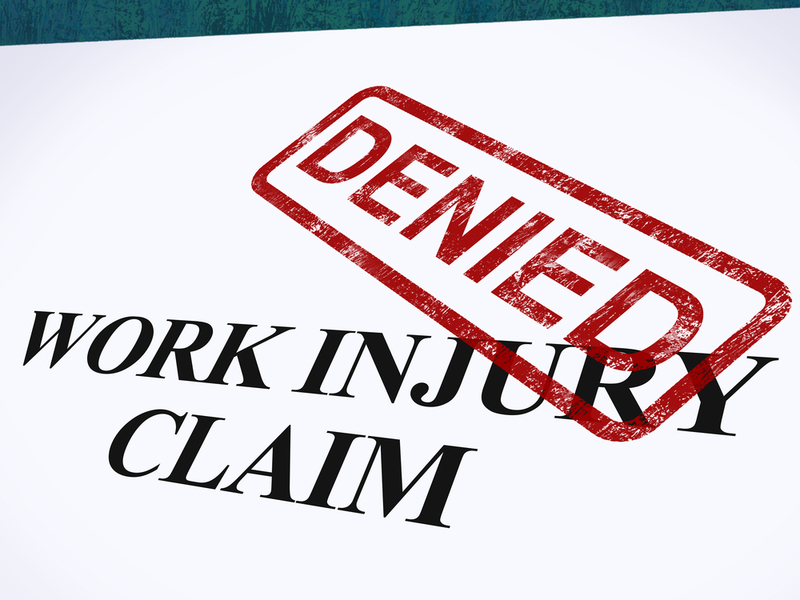 But what happens if your workers’ comp claim is denied? We want to briefly cover some of the main reasons a claim could be denied, but please note that this does not mean you will never get compensation. Missed deadline – you need to report an injury as soon as it happens or as soon as you know about it. Most states have short and strict deadlines about reporting injuries. Exceptions are made for occupations injuries and illnesses. The injury did not happen at work – if your injury happened away from work, maybe on your commute to and from work on a break off of company property, workers compensation may deny your claim. Drugs and alcohol – if you were under the influence of drugs or alcohol at the time of the injury, you may be denied coverage. Many workers’ comp insurance companies require a worker to take a drug test immediately after the injury. Negligent behavior – if you were performing negligently at the time of the injury, outside of your scope of duties, you may get denied coverage. This includes things like playing around or horseplaying on the job. Pre-existing conditions – injuries or illnesses that you had before you started a job that are exasperated by your workplace may not get coverage. You never saw a doctor – if you did not think your injury was serious and never sought medical attention, but then came back later and filed a claim, the insurance company may say your injury was not serious. Your claim is disputed – if your employer disputes your claim, it is their work against yours. This can happen if your employer says that the injury happened differently than you say it happened. When you are hurt at work and your claim is denied, the time to act is now. Securing a qualified and experienced attorney to have your back is important. At Koszdin, Fields, Sherry & Katz, we know that you need help with the medical expenses related to your injury and you cannot afford to lose your income. Our team will investigate your case and guide you through this process so you can get back on your feet. When you need a Los Angeles workers’ compensation attorney, you can reach out to us for a free consultation by clicking here or calling one of these numbers: 818-812-5639 or 800-747-3447.